Sri Kallam Haranadha Reddy is the founder of the KSML. He holds a Masters Degree in Arts and graduate in Lam. He has about 45 years of rich experience in cotton and spinning business. Further he got good experience in the Ginning, Pressing, Oil Mills, Chilies and Rice Business etc. He was associated with the company since its inception. 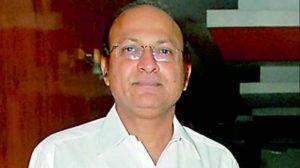 Sri Kallam Haranadha Reddy is a Director on the Board of M/S Kallam Housing and Real Estates (P) Ltd.
Sri Kallam Haranadha Reddy is also a Philanthropist. He started Kallam Academy of Educational Society. From the Year 2010 “Kallam Haranatha Reddy Institute of Technology” started in Chowdavaram. Every Year he gives Education Scholarships to poor students. Mr. P.V. 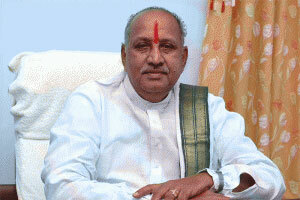 Reddy is the Managing Director of KSML. Mr. P.V. Reddy, hailing from an agricultural family, is having lot of dedication, commitment and hand work and a much disciplined personality. He has over 40 years of experience in Cotton, Ginning, Pressing, Spinning, Cotton Seed Oil, Chilies, and Rice Business etc. Mr. P.V. Reddy handles purchase of Raw Cotton and looks after all the Civil Construction Activity of the company. Mr. G.V.K. Reddy is the Joint Managing Director of KSML . He is a graduate in Mechanical Engineering with distinction from Andhra University and also University 1st Rank Holder. He is post graduate in Marine Engineering from Royal Naval Engineering College, Plymouth, UK. He has served in Indian Navy in various positions and took premature retirement as Commander to start the family business of spinning in 1993. He had extensive tour of India with chairman to select suitable machinery for the spinning unit in 1993. he organized construction of spinning plant and erection of machinery in a record time. He also played a key role in organizing public issue of the company in 1995. Mr. G.V.K. Reddy takes active part in day to day management, manufacturing, technical and liasioning with Financial Institutions, Banks and other Govt. Departments of the company. He is responsible for Hydro Electric Plant Operation. Mr. M.V. Subba Reddy is the Whole Time Director & Chief Financial Officer (CFO) of KSML. He is associated with the company since 1996 as Purchase In charge (raw material). He is post graduate in commerce. He gained excellent knowledge in procurement of raw material sales of yarn and waste. He is also having experience in accounts and looks after day to administration of Office, Accounts Department, and Purchase of Raw Material for OE Plant. Mr. Ajeya Kallam, IAS (Rtd), 1983 Batch, a post graduate in Agriculture with a Masters in Business Administration from Australia had put in 34 years in Indian Administrative service. Mr Kallam had handled many important assignments in his career both in State and Union governments. He worked as Sub collector and PO, ITDA in Nalgonda and Khammam Districts. Later he was given responsibility of managing West Godavari and Vizag Districts as District Collector. He spent nearly 7 years in Agriculture sector as Head of the departments of Horticulture and Agriculture besides working as principal secretary, Agriculture. He was instrumental in building horticulture department as its first HOD. He gave a new direction to Agriculture extension with farming situation specific strategies. He was also Vice-chancellor of the Agriculture university for a short while. As commissioner, Endowments and EO, TTD, he brought in significant reforms. In the infrastructural sector, he worked as CMD, Transco as well as Chairman, Vizag port trust On specific invitation, he joined as principal secretary to the then Chief Minister, Sri Kiran Kumar reddy. Subsequently, he handled the State’s Finance and Revenue departments as Special Chief Secretary. Finally, he retired as Chief Secretary to Government of AP during 2017. Mr. V.S.N. Murthy is a Nominee Director of IREDA. He is post graduate in commerce from Andhra University. He worked 7 years in M/S Singareni Collieries Ltd. He joined in 1970 in APIDC as a Chief Accountant, and served for 27 years holding different positions in the Accounts and Finance Division. He retired in the year 1997 as Chief General Manager (Financial Services). He takes keen interest in analyzing the Balance Sheet, advising the company in expansion programs. Mr. V.Ramgopal is aged 65 years. He has a Masters Degree in Bio-Chemistry. He joined as Probationary Officer in Indian bank in 1973, before moving to Andhra Bank in 1976. In senior positions he served as Zonal Manager (DGM) in Zonal Office, Kolkata and Guntur besides other assignments in Andhra Bank. On promotion to General Manager, he was General Manager in- charge of Investments and International Banking Division in Andhra Bank. He also served as General Manager in Head office, Andhra Bank. Mr. Ramgopal was appointed as Executive Director of Indian Bank and served from December 7, 2009 to December 31, 2011. He was Nominated as Chairman and Director of Indian Bank Housing Ltd., and Indian Bank Merchant Banking Services Ltd., subsidiaries of Indian Bank during his tenure as ED in the years 2010 and 2011. During 2011, he was Nominee Director by Indian Bank on the Board of Reliance Asset Management Company Ltd. Mr.Ramgopal was nominated as member of Risk Management Committee of Indian Banks Association during 2010 and 2011. 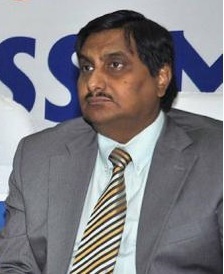 Mr. S. Pulla Rao is a Non-Executive independent Director of KSML. He is a Commerce Graduate from Andhra University. He joined Indian Revenue Service and retired as Joint Commissioner of Income Tax in June 2005 after rendering about 40 years of Service in various capacities in Income Tax Department. He is the Chairman of the Audit Committee. He advises the company in tax related matters. Smt. 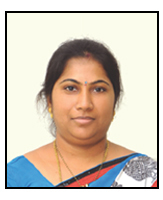 V. BHARGAVI is a Non-Executive and Independent Director. She is a member of the Institute of Chartered Accountants of India and has varied Experience in specific functional areas like Taxation, Accounting, Auditing and Financial Management. She advises the Company in tax related matters.